CIRCUS KRONE-BAU-MUNICH The Beatles began their 1966 international tour with two shows In Munich at 5:15 and 9:00 pm. The German part of the tour was dubbed "Bravo Blitztoumee." sponsored by the entertainment magazine Bravo. The second show was taped in black-and-white by Zweites Deutsches Fernsehen (ZDF). utilizing five cameras. The resulting 4S-minute special was broadcast as Die Beatles on |uly 5th, including footage of opening acts Cliff Bennett and the Rebel Rous-ers. the Rattles and Peter and Gordon. All but the Rattles are presented here. NIPPON BUDOKAN ARENA-TOKYO From Germany the Fabs flew to Tokyo for a series of five shows at the 10,000-seat Budokan; one on |une 30th and two each on July 1st and 2nd. The first two shows were taped In color by Nippon Television (NTV). The complete tapes of both shows are presented here. 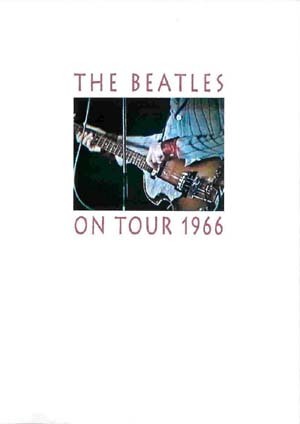 Highlights from the shows were combined with clips of Japanese opening act Yuya Uchlda and Isao Bitoh and footage of the Beatles' arrival, and the resulting one-hour program was broadcast as The Beatles Recital, From Nippon Budokan on the evening of July 1st.